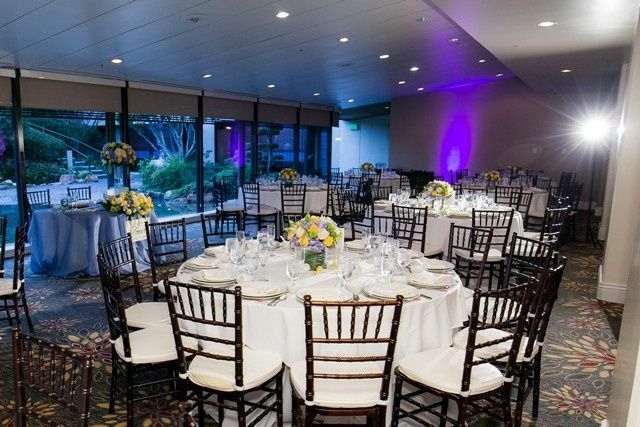 DoubleTree by Hilton Hotel Los Angeles Downtown is a full-service hotel and wedding venue located in Los Angeles, California that provides a stunning setting for a beautiful wedding. 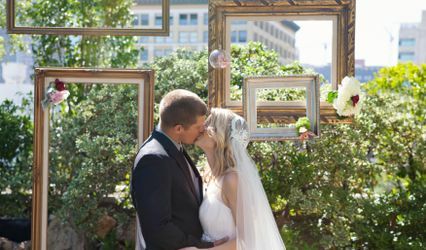 Whether you are looking for a light and fun garden affair or a sleek and stylish city wedding, this elegant venue can help you create the perfect celebration. 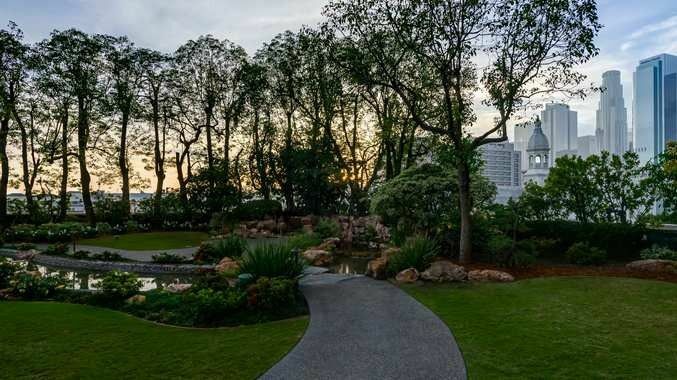 DoubleTree by Hilton Los Angeles Downtown has a range of indoor and outdoor spaces that have the glittering backdrop of Los Angeles behind them, allowing for an amazing storybook setting. 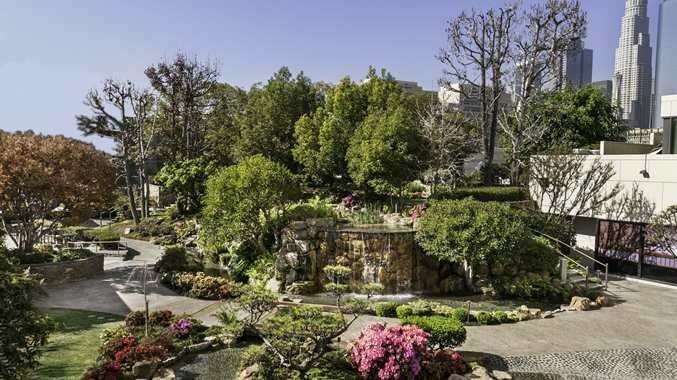 The unique Kyoto Gardens are set on the rooftop of the hotel, boasting manicured greenery and cascading waterfalls that exude tranquility. 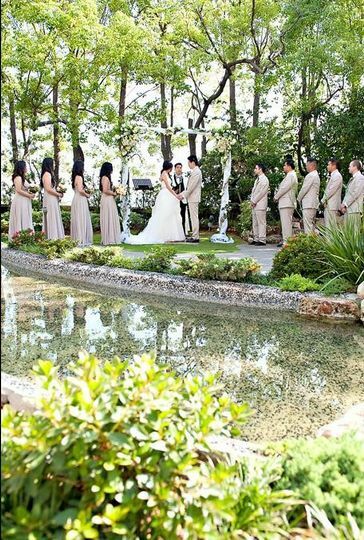 The half-acre garden offers a serene place for an outdoor ceremony or reception of up to 200, replicating the quality of an ancient and exquisite Japanese oasis. For indoor weddings couples can choose from three magnificent ballrooms, which includes the Golden State Ballroom that fits up to 300 guests. 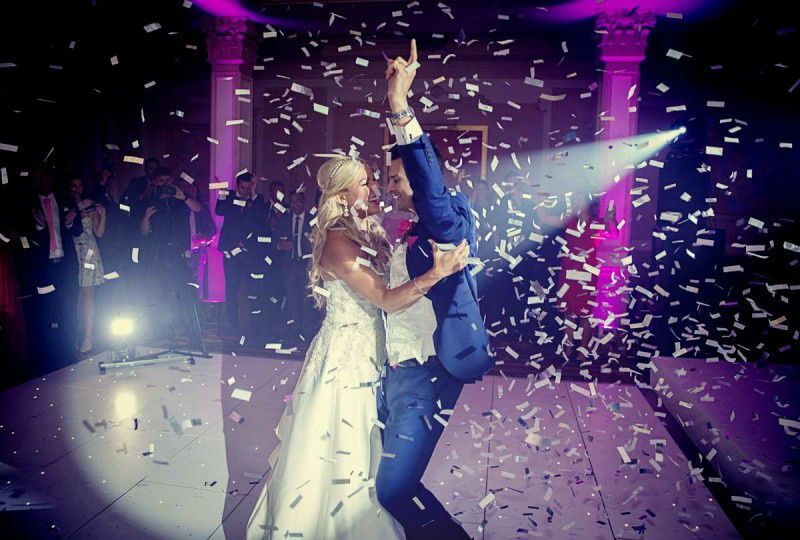 This elegant and modern ballroom features tall ceilings and plenty of space for friends and family to dance the night away. The venue also has more intimate alternatives such as the Thousand Cranes and California ballrooms, each exuding their own contemporary flair. The executive chef and culinary team will tailor-make a menu to suit your needs, even offering delicious afternoon tea that can be served tableside or as a buffet station. Get menu tastings of all the à la carte options that are provided so that you can create the perfect custom menu to complement your event. 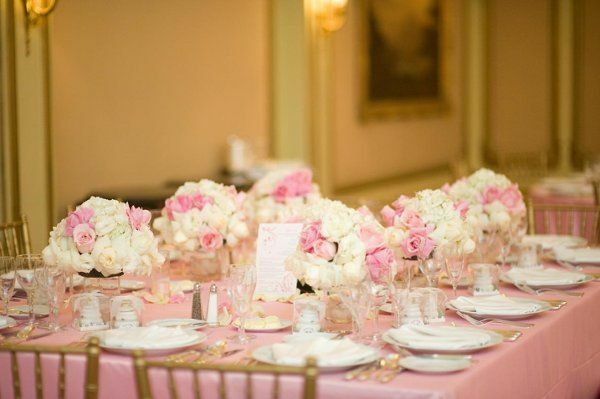 Different catering options can be used for your rehearsal dinner, bridal shower, reception, and other wedding occasions. 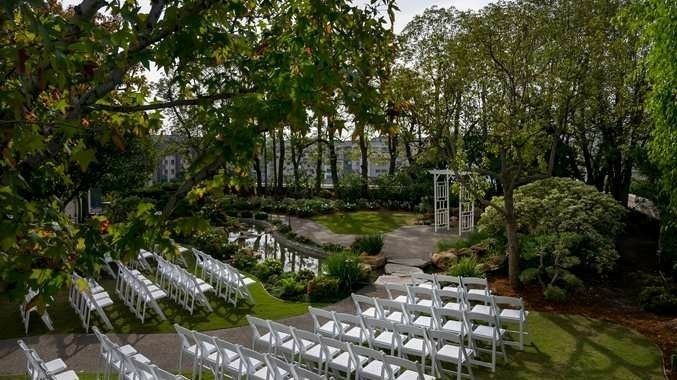 At first I was leaning towards not having our wedding at a hotel, but once we saw the Doubletree, I knew this was where I wanted to have my wedding. 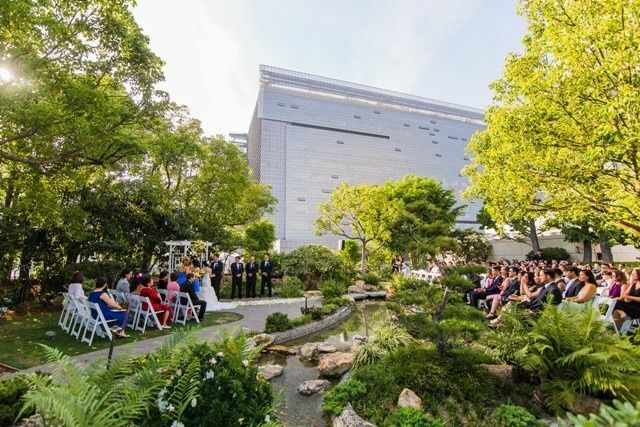 The Thousand Cranes Ballroom and the Kyoto Gardens made for an absolutely picturesque wedding that transported us away from the hustle and bustle of Downtown LA. Everyone was a delight to work with and was very accommodating to our needs. Gloria, Aeri, and Jenny did a great job of taking point on our wedding and making sure our vision got realized. The wedding went off without a hitch, and I was highly impressed with the professionalism of the waitstaff and banquet managers I met with. The food was excellent, a point which our guests very much agreed with since they ate/finished everything, high points being the shrimp tempura hor d'oeurves, sea bass entree, and the late night mini lobster rolls (but honestly, literally everything was delicious). The bar even bothered to find all the ingredients necessary for my favorite cocktail (a sidecar), even though those ingredients are not what you'd usually find at wedding bars. I'd highly recommend the Doubletree as a venue; I almost still can't believe how affordable everything was considering how awesomely the day went. If anything, the only thing I would have changed about my wedding day was to order even more hor d'ouerves and late night snacks! They were seriously that good. 10/10, would do again. 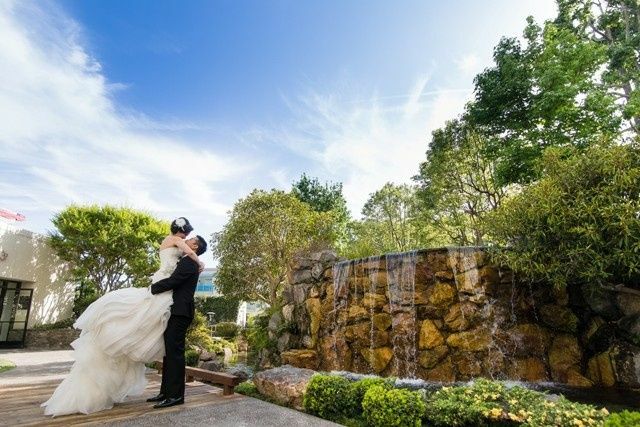 the waterfall sound, flowers, many greens everywhere also the ball room with a beautiful sunshine.. every details matches perfectly for couples that are planning the outdoor ceremony and inside reception as we did. Specially the catering manager Rebecca Young and her assistant Aeri, they are sooo good on teamworks and really well organized for events. I really can't stop to recommend this place to all the couples who are planning their wedding. Worth it! Seriously- get married here!! The catering team and wedding coordination team is world class, phenomenal. 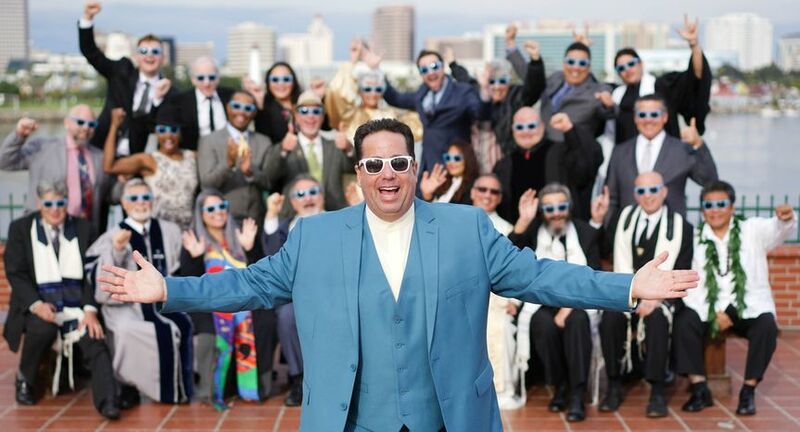 ALL my friends who recently had weddings kept telling me how easy they made it. 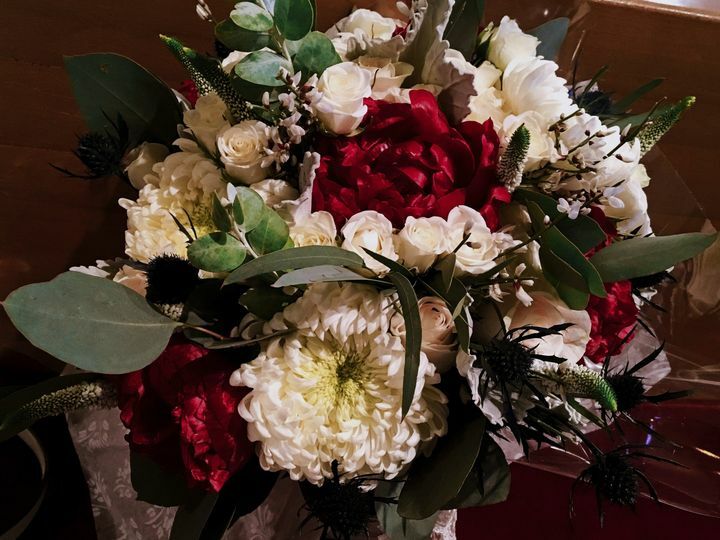 I had no idea but apparently some caters and venues really nickle dime wedding events but this team has a generosity that even impressed our recently married guests. This team is experienced, they know how to respond to every possible situation that can arise. They were consistently gracious and solution oriented, even when I was " a little stressed". :-) They got you covered. 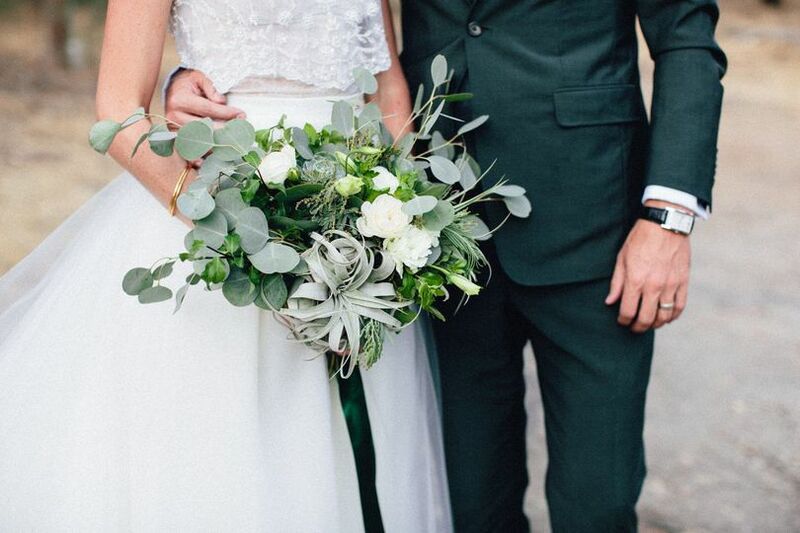 15% off for Wedding Wire couples only! 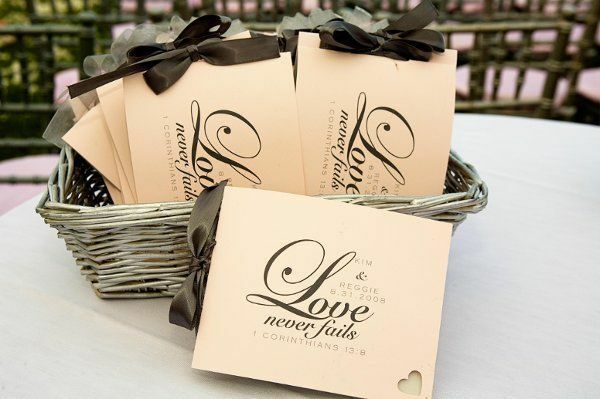 Earn 15% off our Marquise and Heart wedding packages. Good for weddings booked now and held in 2019. A minimum of $9,000.00 in food and beverage is required (excluding tax and service charge). Gloria and her staff were amazing to work with. The venue was superb and the service was great. My clients enjoyed having their reception at this venue. Would love to work with them again in the future. 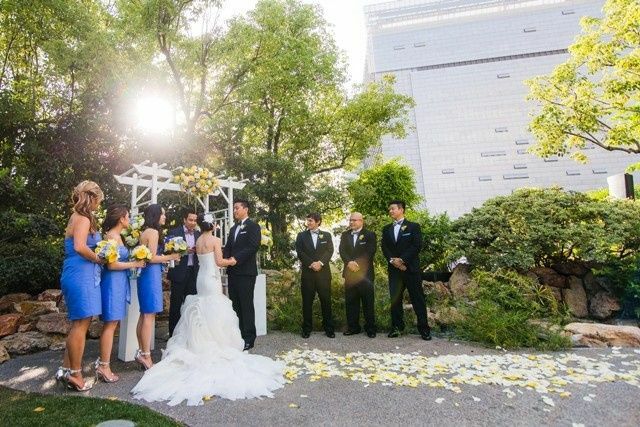 If you&apos;re looking for an amazing rooftop downtown for your ceremony then this is the place! 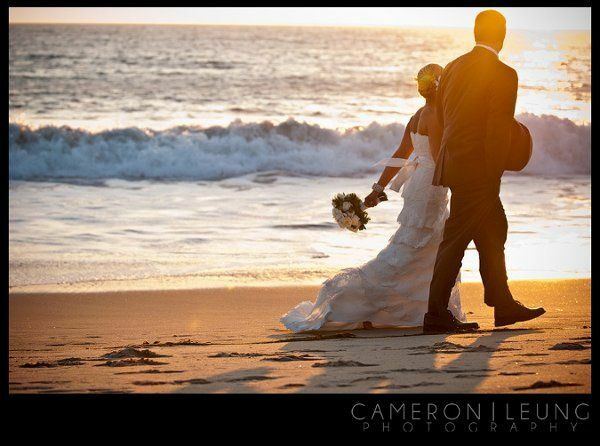 Amazing venue and great staff to make sure your wedding goes smooth. We love working here!